Weather: 45°F (7°C) in the morning; got up to 95°F (35°C) by the end of the ride at 4:30pm. Clear all day. It's hot, it's windy, it's dry and I'm a long way from Pennsylvania. Today is the half way mark for my journey. I have 74 days to ride and today is day 37. So far I have covered 55% of the total amount of miles I plan to do so I'm ahead of schedule. We got a fairly late start today at about 8:00am. We stayed up late last night and ate a real breakfast at a restaurant. 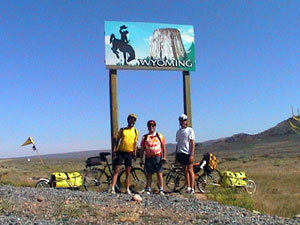 Mike rode with us from Cowdrey to the Wyoming border and back. I always treasure the ceremonial and obligatory pictures taken at the state borders. [Joe Deely, Mike Cullerton, me]. 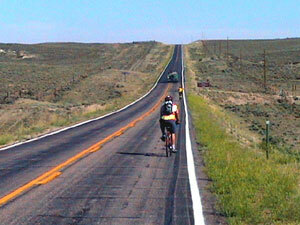 Wyoming is the seventh of ten states on the TransAm route. 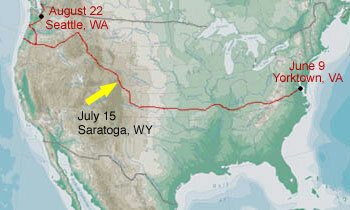 I'll add Washington State as I ride from Oregon to Seattle for my flight home. So far the shoulders in Wyoming have been very generous and the traffic is extremely light. Hopefully it will stay this way so I can have a very safe, worry-free journey through the state. 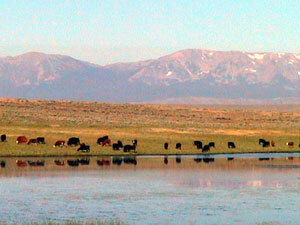 This picture of was taken early in the morning at a small pond just south of Cowdrey, Colorado. There are some ranches around here but most of the land is barren, dry, and covered with scrub. A few farmers grow crops but they have to irrigate heavily. It's neat to see a brilliant, green field every once in a while. 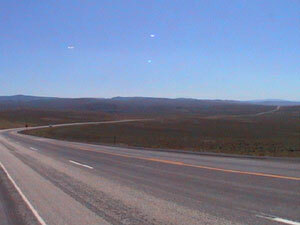 Below you can see the typical road and lanscape we saw today. 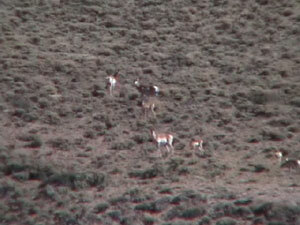 The second picture is of some pronghorn antelope. They are the fastest animals in North America, commonly reaching 60 miles per hour. 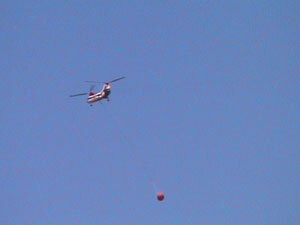 There are some forest fires around here and I spotted this helicopter picking up water from the Platte River just before reaching Saratoga. A fire started the other day that is now threatening Steamboat Springs, a town I passed within 20 miles of yesterday. This entire section of the country is experiencing extreme drought. The owner of the Mangy Moose Saloon (where we had lunch) said that they have only received about 1/4 inch of rain since January. All of the reservoirs, streams and rivers are nearly completely dry. I reached a new record high speed today, 46.8 miles per hour. There was a steep downhill run on a very smooth road about five miles north of Cowdrey that I took advantage of. 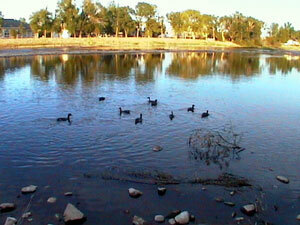 Joe and I had dinner at Pizza Hut and fed the crusts to the mallard ducks in the nearby Platte River. It's amazing how much life and vegetation exists in and along the river. This is in stark contrast to the barren, dry land that surrounds the rivers.